What’s POP, Why Should You Use It, How Does it Work in Reality? At WWDC 2015, Apple announced that Swift is the world’s first Protocol-Oriented Programming (POP) language. Protocol-Oriented Programming is a new programming paradigm ushered in by Swift 2.0. In the Protocol-Oriented approach, we start designing our system by defining protocols. We rely on new concepts: protocol extensions, protocol inheritance, and protocol compositions. The paradigm also changes how we view semantics. In Swift, value types are preferred over classes. However, object-oriented concepts don’t work well with structs and enums: a struct cannot inherit from another struct, neither can an enum inherit from another enum. So inheritancefa - one of the fundamental object-oriented concepts - cannot be applied to value types. On the other hand, value types can inherit from protocols, even multiple protocols. Thus, with POP, value types have become first class citizens in Swift. Why? Protocols serve as better abstractions than classes. What it tells us is that adopters of this protocol will be able to create an entity, assign it a name and generate its unique identifier by implementing the type method uid(). One type can model multiple abstractions, since any type - including value types - can implement multiple protocols. This is a huge benefit over class inheritance. You can separate the concerns by creating as many protocols and protocol extensions as needed. Say good-bye to monolithic superclasses! The only caveat is that protocols define a template abstractly -- with no implementation. Here’s where protocol extensions come to the rescue. Protocols serve as blueprints: they tell us what adopters shall implement, but you can’t provide implementation within a protocol. What if we need to define default behavior for conforming types? We need to implement it in a base class, right? Wrong! Having to rely on a base class for default implementation would eclipse the benefits of protocols. Besides, that would not work for value types. Luckily, there is another way: protocol extensions are the way to go! In Swift, you can extend a protocol and provide default implementation for methods, computed properties, subscripts and convenience initializers. In the following example, I provided default implementation for the type method uid(). Now types that adopt the protocol need not implement the uid() method anymore. A protocol can inherit from other protocols and then add further requirements on top of the requirements it inherits. In the following example, the protocol Persistable inherits from the Entity protocol I introduced earlier. It adds the requirement to save an entity to file and load it based on its unique identifier. The types that adopt the Persistable protocol must satisfy the requirements defined in both the Entity and the Persistable protocol. If your type requires persistence capabilities, it should implement the Persistable protocol. Protocol inheritance is a powerful feature which allows for more granular and flexible designs. Swift does not allow multiple inheritance for classes. 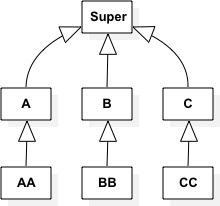 However, Swift types can adopt multiple protocols. Sometimes you may find this feature useful. Here’s an example: let’s assume that we need a type which represents an Entity. We also need to compare instances of given type. And we want to provide a custom description, too. This design not only is more flexible than squeezing all the required functionality into a monolithic base class but also works for value types. I’ll walk you through an example which shows the benefits of Protocol-Oriented Programming over the classical approach. Let’s start with the base class approach. I squeeze all the features in the Image class. What we get is a complete type: we can create instances of the Image class directly, and we get all the requirements fulfilled. Now, what if we don’t need all these features? Let’s say I don’t always need the Base64 encoding functionality. If I subclass the Image class, I’ll get all the features - even if I don’t need them. If we need to create subclasses to specialize some of the methods, there is no way to get rid of those public methods and properties we don’t need. We just get everything when we inherit. Besides, we are constrained to classes only. Now, let’s revamp this design using POP. I’ll create protocols for each major feature, that is persistence, creation of a compressed, lossy version and Base64 encoding. func compress(withQuality compressionQuality: Double) -> Self? The bottom line is that you can choose which protocol to adopt in your types. And your types can be references or value types. This flexibility does not exist if the implementation is done with superclasses. Another benefit is that we can provide default implementations with protocol extensions. Actually, we could even add new functionality - and here’s the best part: we don’t even need the original code. We can extend any Foundation or UIKit protocol and decorate it according to our needs without delving into class structure or other nitty gritty details. Swift supports multiple paradigms: Object-Oriented Programming, Protocol Oriented Programming and Functional Programming. What does this mean to us, software developers? The answer is FREEDOM. It’s up to you which paradigm to choose. You can still go the OOP-route if you wish. You could mix and match. However, once you wrap your head around Protocol-Oriented Programming, you’ll probably never look back. Check out my Swift courses on Pluralsight. I would like to thank Marshall Elfstrand, Swift & Developer Tools Evangelist at Apple, for his valuable suggestions.